OUCKC | It's better where it's wetter! 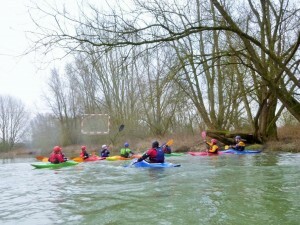 canoes-subscribe@maillist.ox.ac.uk for weekly updates on flat water faffing, socials and trips. canoes-polo-subscribe@maillist.ox.ac.uk for upcoming training and fixtures, all abilities welcome. 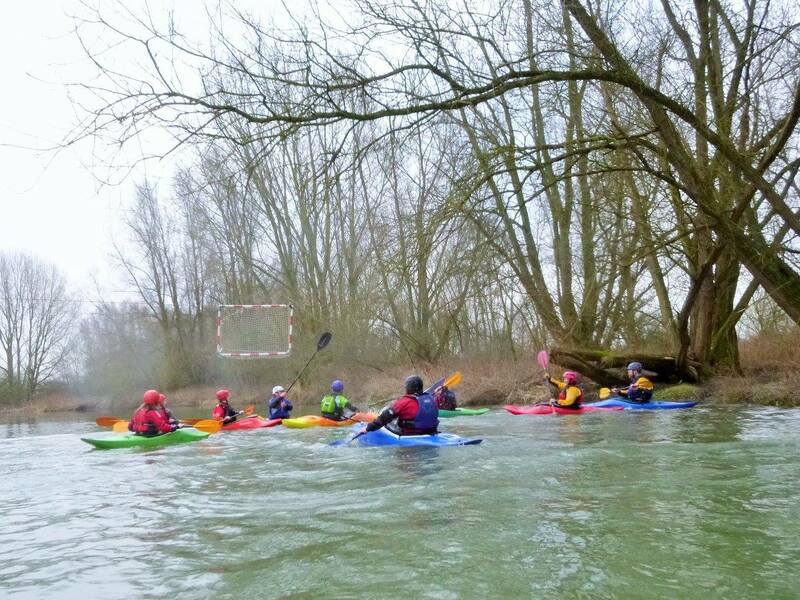 canoes-marathon-subscribe@maillist.ox.ac.uk for marathon kayaking in association with Falcon Kayaking club. Also join the Facebook group for the most up to date club faff. This entry was posted in Uncategorized on 2016-11-19 by ouckc. Saturday 25-Nov North Wales trip? Sunday 26-Nov Port Meadow North Wales trip? This entry was posted in Uncategorized on 2017-10-15 by ouckc. OUCKC (Oxford University Canoe and Kayak Club) are running come and try sessions open to everybody as a new year at Oxford begins! 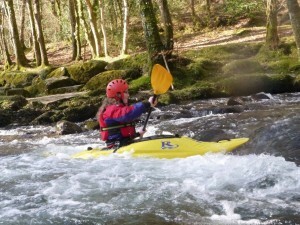 This is a great way to see if kayaking is for you and you could find a brand new sport to take up. 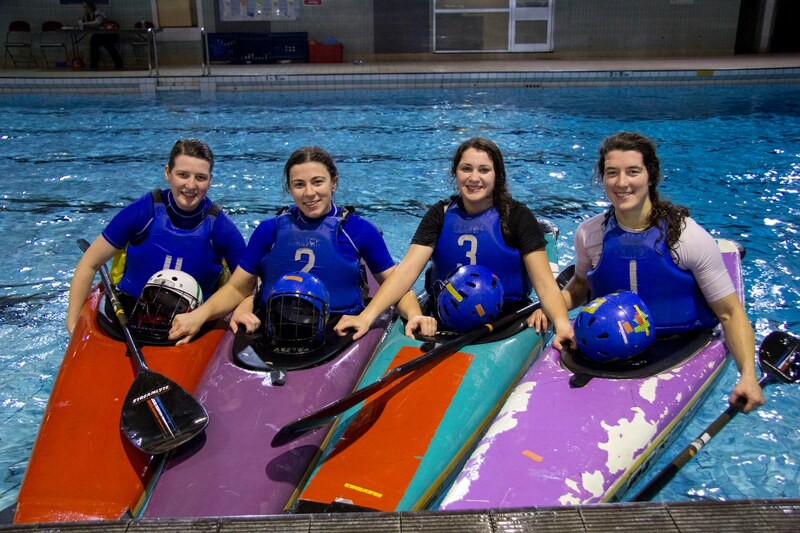 As a club we do canoe polo, white water kayaking and marathon paddling, and there will be a freshers white water trip coming up later this term! If you’re coming along to try paddling for the first time you’ll need to bring a complete change of clothes and a towel. Please note that you MUST wear a pair of old trainers or similar on the water (flip flops aren’t appropriate as they get sucked up by the bottomless mud on the riverbed). Fleecy/synthetic clothes will keep you warmer than cotton based stuff. Avoid bringing valuables as we cannot guarantee their safety (the shed will be locked when we’re on the water). This entry was posted in Uncategorized on 2017-10-06 by ouckc. Alas, I had no incoming pub recommendations last week so I have randomly decided that theÂ socialÂ will be this Thursday at 8pm at the King’s Arms (simply because I’ve been there before). On Friday theÂ MarathonÂ session will be at 6.45am at Falcon Canoe Club. This is for people who want to cover longer distances in pointy boats. Contact our marathon rep Lizzie to find out more (elizabeth.polgreen@linacre.ox.ac.uk). On Sunday will be our lastÂ Port MeadowÂ sessions before the Surf Trip. There will be sessions at 12pm and 2pm, so come along and make the most of this lovely Trinity weather! This entry was posted in Uncategorized on 2017-05-29 by ouckc. Thursday 15-Jun Social End of term meal? This entry was posted in Uncategorized on 2017-04-28 by ouckc. 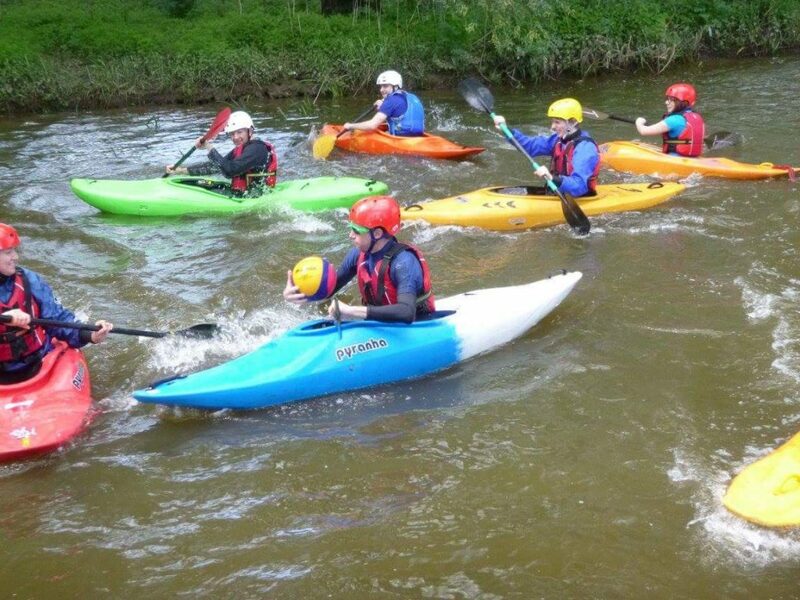 The vac is almost upon us but there is still time to get in some kayaking before the end of Hilary term. Thursday at 8pm there will be drinks at the Uni Club. A great opportunity for some pleasant chat and some pleasant drinks (alcoholic or not). Friday there will be a marathon session at 6.45am at Falcon Canoe Club. This is for people who want to cover longer distances in pointy boats and is amazing obviously. Please contact Lizzie, our new marathon rep, to find out more ( elizabeth.polgreen@linacre.ox.ac.uk ). This entry was posted in Uncategorized on 2017-03-07 by Calum White. 1.There will be a pub session this Thursday from 7.30pm onwards to get some warming beer down your gullet to warm you up in the cold weather! 3. There are two spaces still available on the North Wales trip this weekend. Online signup is available and you will need to get money to Cormac Browne. Please chat to the leaders if you are not sure about whether you can come (the requirements are in the e-mail but if water levels are very high and you have not paddled much you may need to sit in a tea shop if there is nothing appropriate for you to paddle, but the social will be great whatever the case!). 4. This Sunday there will still be a session at Port Meadow, from 11am-1pm, incorporating both polo and general fun, to please everybody! 6. Our annual Christmas Dinner will be taking place on the 24th November, so put the date in your diaries! Current thoughts for location are Uni Club or St. Catz, but the festive cheer will be fab wherever we go, and it also a certain important club member’s birthday, so reserve the date! This entry was posted in Uncategorized on 2016-11-07 by ouckc. Thank you so much for everyone who came on the Freshers’ Trip and helped make it such a fun experience, despite record levels of faff! Special thanks to those who helped organize and lead, your help is much appreciated. 1. Thursday 7pm meal out at Jamal’s, followed by pub session at the Four Candles 9pm. On Thursday there will be a meal out at Jamal’s in Jericho to glorify about the Freshers’ Trip and discuss future paddling exploits. Cost will be approximately £15, value will be priceless! Then we will walk to the Four Candles Pub for some pints and chat at 9pm. Feel free to join just for the pub if you can’t make it earlier. Trip sign up for the intermediate trip will open at the pub (details to follow in an e-mail from Cormac). Let Chris Booth know if you’re interested. 4. There will be a pool session on Sunday morning from 9am-11.30am, split into two sessions, at the Brookes Sport Centre in Botley. 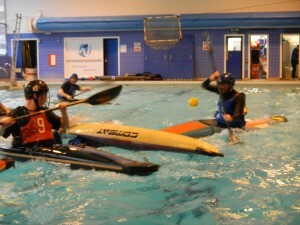 The first session will be rolling practice and general skills, the second will be canoe polo. Cost will be £2 per session to fund our pool costs. Bring a swimming costume, t-shirt and shorts for the session, a towel and a change of clothes, and get ready for a fun splashabout. 5. 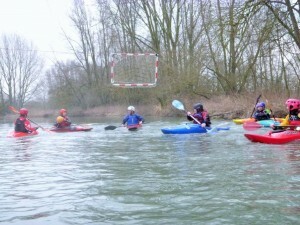 Port Meadow session at 1pm and 3pm, for some fun general paddling. That’s it from me. Hope you all have a wonderful week and I look forwards to seeing you out and about boating! This entry was posted in Uncategorized on 2016-10-31 by ouckc. Come along for drinks and a chat on Thursday in the friendly atmosphere of Mansfield bar. 3. 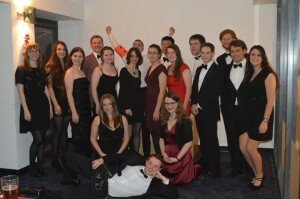 Freshers’ Trip this weekend. For all those who are planning on coming to the best weekend of their lives, Cormac will be e-mailing out further details very soon. Get excited for some white water at the weekend! There will be NO SUNDAY SESSIONS since our leaders will be away on the Freshers’ Trip helping you have the time of your life! They will resume next week. 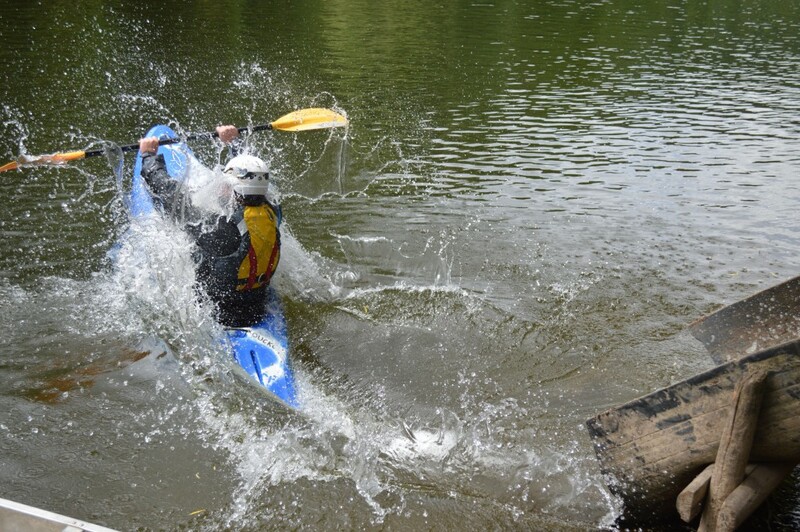 The BUCS white water race is for anyone interested in paddling fast down moving water! It also counts as part of our Varsity match against Cambridge so we need to get together at least a men’s and women’s team of three each. 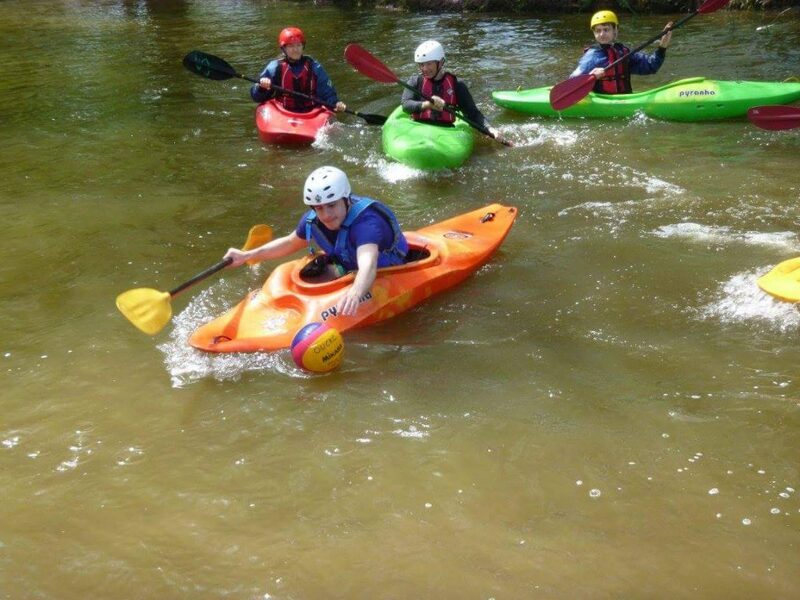 You need to have some experience on white water to join, and more info can be found on the website. Let Chris know (christopher.booth@lincoln.ox.ac.uk) if you’re interested in coming! 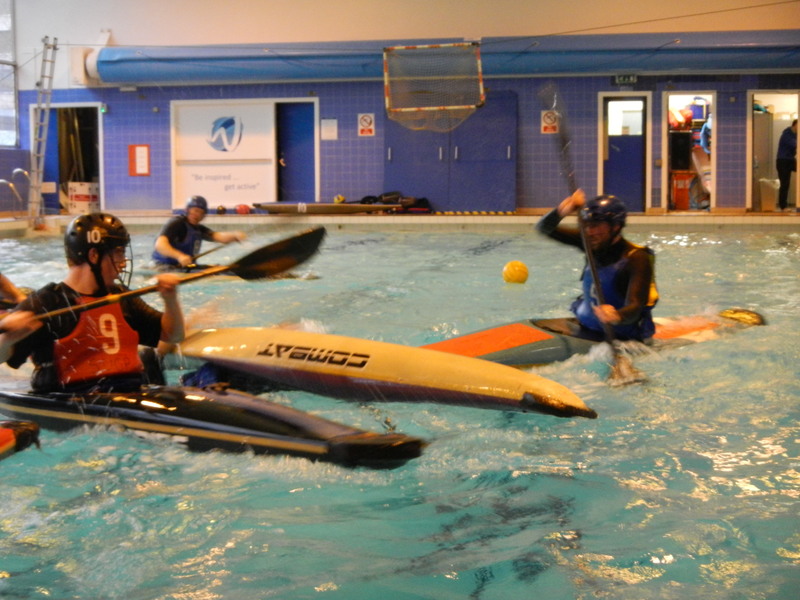 We have some canoe polo tournaments coming up which are suitable for all abilities including complete beginners. They are all held in warm swimming pools and we need to get some teams together so let Chris know (christopher.booth@lincoln.ox.ac.uk) if you’re interested in playing! The ladies tournament is only for ladies but the other two are open to anyone. Saturday 5th November (4th week): South East Div 3. That’s it from me; I hope you have a lovely week and I’ll see you soon for some boating! This entry was posted in Uncategorized on 2016-10-24 by ouckc. if you still haven’t signed up for the upcoming Freshers’ Trip to North Wales (evening of Friday the 29th October to evening of Sunday 30th October), hurry, places are limited! Online signup is now open, you must have done two sessions and a spraydeck test, and your place is not confirmed until you pay (cheque or cash please). See the e-mail sent out by Cormac earlier today or the Facebook post. 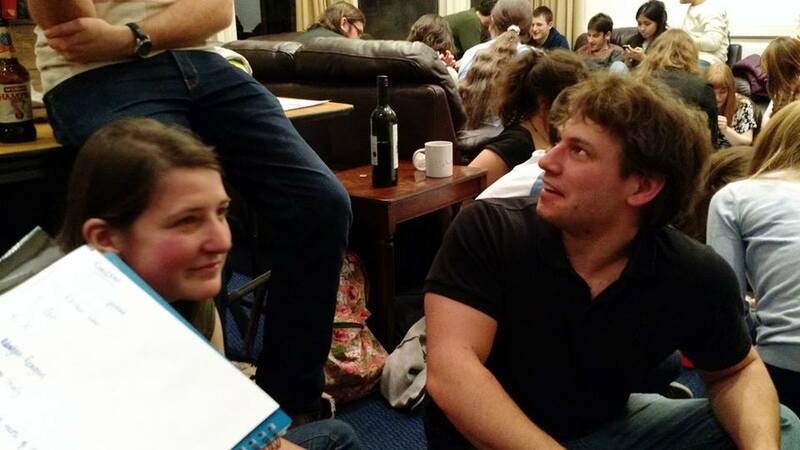 There will be a social at Mansfield College Bar at 7.30pm this Thursday for general friendly chat and booze. Anja Mizdrak alerts me that she has some unclaimed stash; if you think it might be yours, get in touch with her before Thursday and you can nab it. 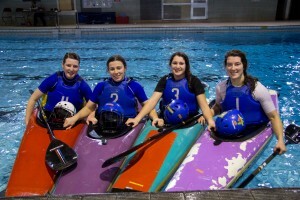 If not, cool kayak-themed kit will be available to purchase at Mansfield Bar during the social! These are aimed at people who want to cover distances in long pointy boats. 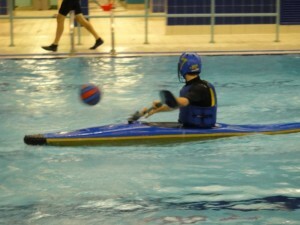 The sessions are based at Falcon Canoe Club by Donnington Bridge and therefore cost £2 to cover Falcon equipment. If you are pretty comfortable in an ordinary kayak and interested in going along, get in touch with our marathon rep, Thomas who can answer any questions and sign you up for a session. 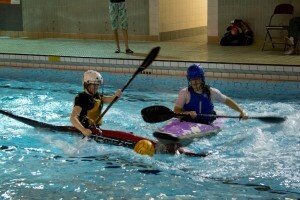 For those of you who are interested in paddling in warm water, learning some fun skills and some more advanced techniques like rolling, come to Brookes Sport Centre for two hours for fun times. Bring a swimming costume, t-shirt and shorts for the session, a towel and a change of clothes. Cost of the session is £2. 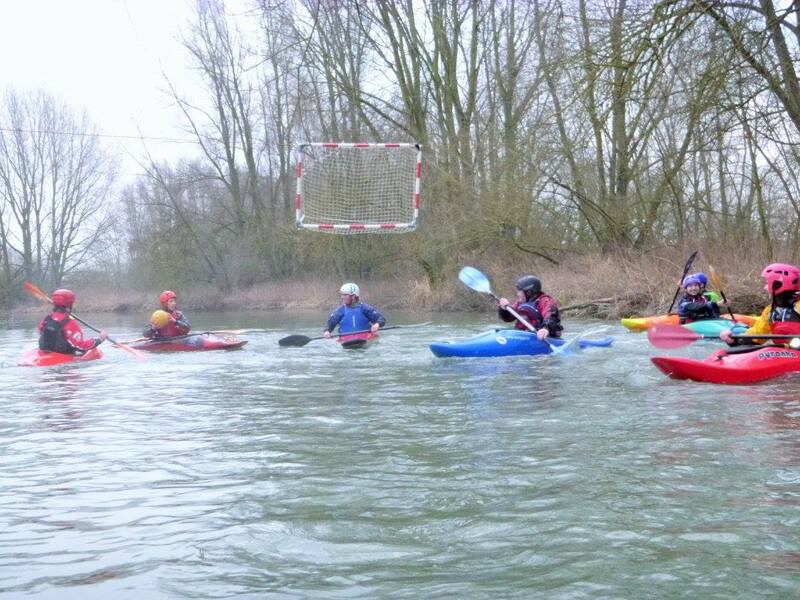 For those eager beavers who want more outdoor paddling, there will be sessions at Port Meadow at 1pm and 3pm, much like the general sessions these past two weeks. This entry was posted in Uncategorized on 2016-10-17 by ouckc. As promised, a fun evening of getting to know other boating enthusiasts and meeting the amazing committee of this club. We’re a very friendly bunch and this promises to be a busy and fun evening. Meet at the G&D’s on St.Aldate’s Street (near Christchurch) at 7.00pm on Thursday 13th October to satisfy all your ice cream needs. We will then head off to various pubs for a fun evening of drinking and chatting, and potentially clubbing afterwards if people are keen. Come in droves-this is going to be great! Same as last week, a bit of coaching and some fun and games. When: 11am, 1pm, 3pm (16th Oct). If you’re keen for canoe polo, come along at 11am where Chris, polo captain, will be leading a group covering the basics. How: turn up a bit before the session to nab the shiniest kit as it will be allocated on a first come first served basis. Afterwards: we’ll head to the pub (Jude the Obscure on Walton St) for a hot chocolate/pint/chips where you can get to know us a bit better. If you’re at one of the earlier sessions, feel free to pop back to join us in the pub at 5/5.30pm. We’ll have membership forms and committee members on hand to answer any of your questions. *Can’t make it this time? Not to worry, just come along next week (or anytime for that matter). New people are always welcome, but we do ask you to attend a minimum of 2 sessions before signing up for trips. The first trip of term will be happening at the end of 3rd week (leaving 28th Oct evening, returning 30th Oct evening). The cost of the trip is approximately £50 and this will cover transport, food, and bunkhouse accommodation. 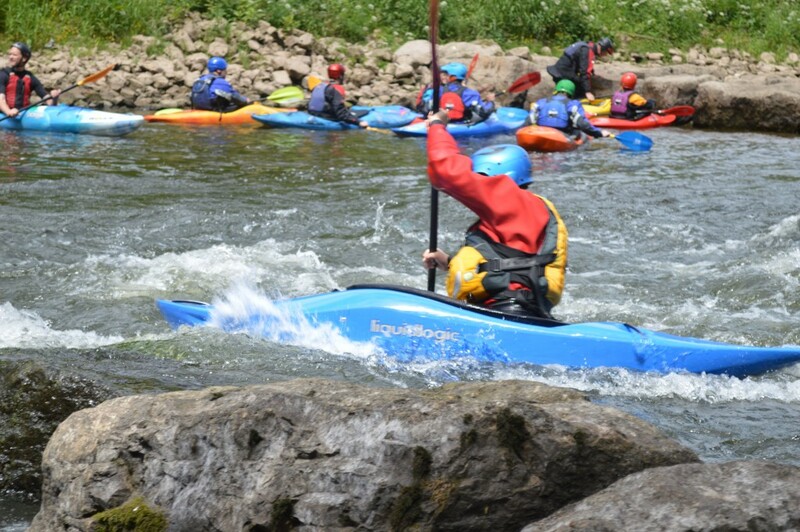 We’ll be heading to South Wales which has rivers to suit even those that have only just started kayaking; all we ask if for you to have attended a minimum of 2 sessions before the trip and have done a spraydeck test. Sign up will open at 6pm on Sunday (after the sessions) in Jude the Obscure, where we’ll be ready to answer questions, sign people up, and take payments (cash or cheque). Here are a couple videos from previous trips for procrastinating purposes: https://vimeo.com/31728427 and https://vimeo.com/53890834 (not all of which were filmed on the bits of rivers we send beginners down so don’t panic when you see the waterfall! Any questions, ask our lovely trip secs, Cormac and Kerry. 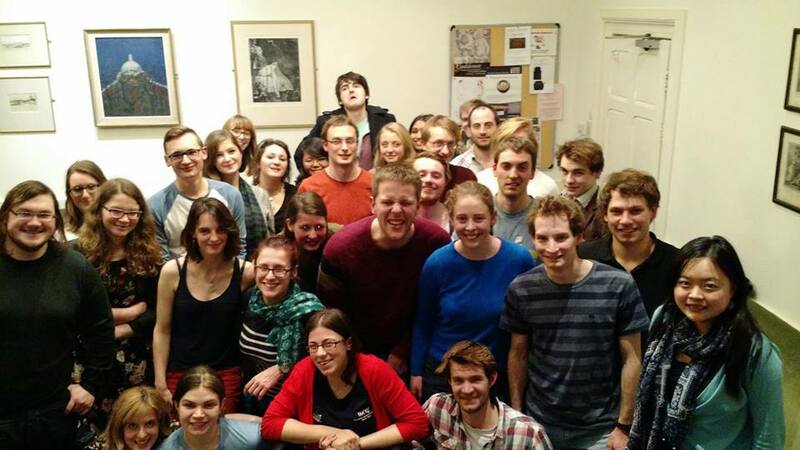 Membership fees are £35 per year for Oxford University students, and £50 for everyone else. This covers the costs of buying and maintaining all the equipment and sessions the club offers, safety stuff like insurance, and storage of your own kit if you have any. Trips and tournaments are paid for separately. We also offer termly memberships which are £20 for OU-students, and £25 for everyone else. To join the club, fill in a membership form (attached) and pidge with a cheque to Jonathon Witty at St Catz College. Alternatively, bring everything along to a session to hand to Jon. Membership (new or renewal) must be paid before the first trip (end of 3rdweek). -On the 22nd/23rd October, the BCU Student Safety Seminar is taking place at Plas y Brenin in North Wales. This is a fantastically informative course which will be great for your personal development. (See website for more details- http://www.pyb.co.uk/courses-bcu-student-safety-seminar.php ). For anyone with previous paddling experience who is willing to help out at Sunday sessions and invest in the club, we are willing to subsidize the cost of the course for you, meaning it will only cost you about £40 (travel, accommodation) for a weekend trip. If you are interested in a place, turn up to the pub crawl or Sunday session and have a chat with one of the committee members. 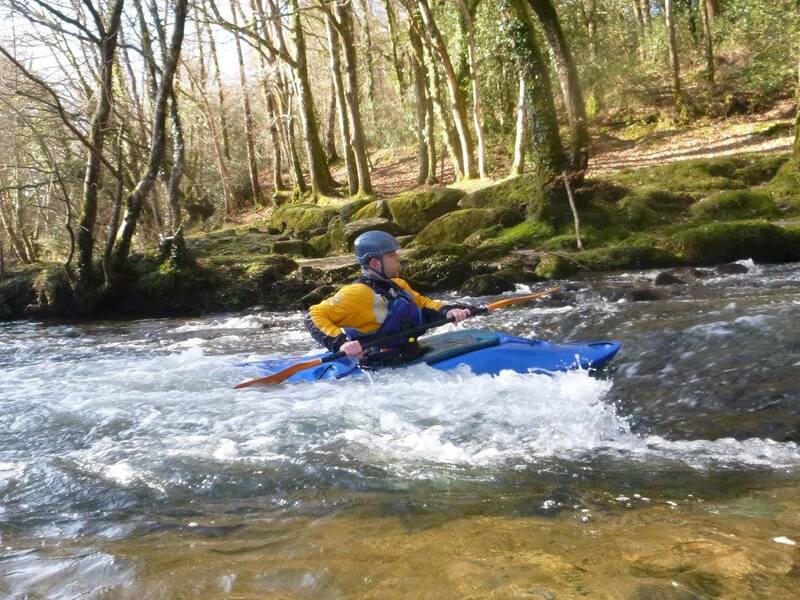 -The intermediate white water trip will be on more challenging white water and suitable for paddlers with a bit more experience. -There will also be a First Aid course later on in the term, again subsidized if you get involved with club activities. Hope to see you all at the pub crawl or out on the water. This entry was posted in Uncategorized on 2016-10-10 by ouckc. Get ready for some fun sessions on the water! Although these sessions are aimed at beginners, more experienced folk are welcome. There will be a bit of coaching to help people get comfortable in a boat and then games. Pick a session, then come 20 minutes early to the car park on Walton Well Street (see map) and someone will lead you to the shed. When: 11am, 1pm, 3pm (9th Oct). If you’re keen for canoe polo, come along at 11am where Chris, polo captain, will be leading a group covering the basics. I send out an email every week with a round-up of activities for that week, but a guide to the term is below to enable you to plan your diary in advance to enable you to come to as much as possible. The term card will also be available on the website soon. 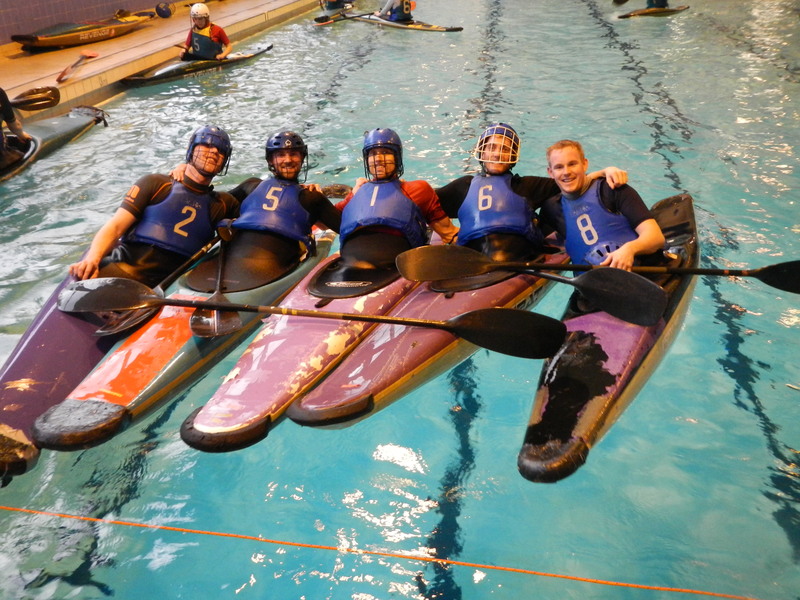 General Paddling sessions on Sundays (11am, 1pm, 3pm weeks 1, 2, 3; 2pm weeks 5, 6, 7, 8): everyone welcome! A bit of learning skills based stuff, some games, or journeys up and down the river. 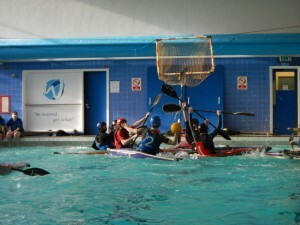 Canoe Polo Training on Sundays 11am @ The Shed: everyone welcome! 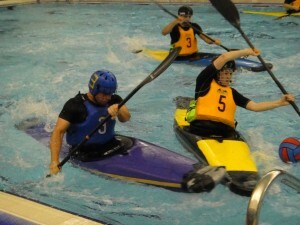 Canoe polo is sort of like basketball/water polo/netball/hand ball but played in kayaks. Our teams tend to regard enthusiasm more highly than skill. And, when there isn’t a specific social on a Thursday, we’ll head to a pub for drinks (non-alcoholic drinks available too!). We also head to Jude the Obscure after every Sunday session. 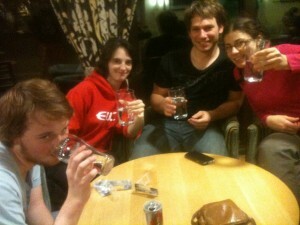 Freshers’ White Water Trip – End of 3rd week (leaving 28th Oct evening, returning 30th Oct). 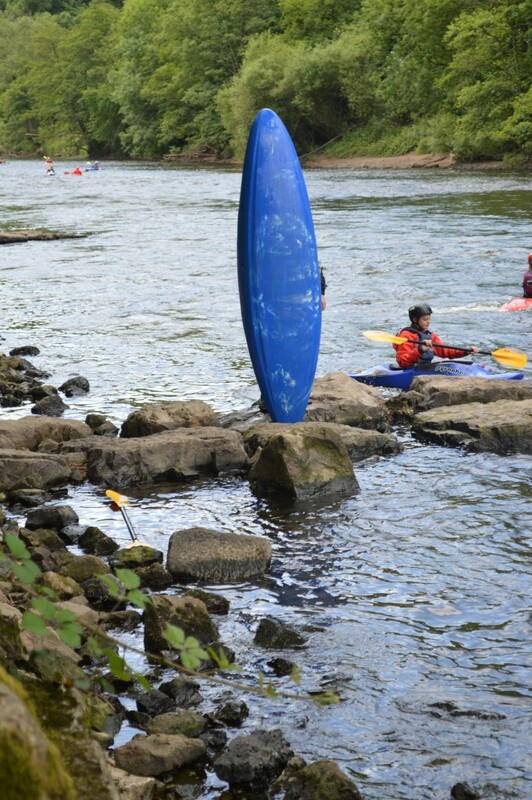 Even if you’ve never paddled before, a few Sunday sessions will teach you all you need to know to be ready for this trip to South Wales. Sign up will open Sunday 16th Oct in the pub after the kayaking session. Cost £50 which includes accommodation, transport, and food for the weekend. Further details to follow. 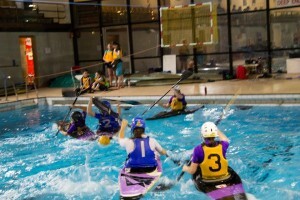 Ladies Canoe Polo Tournament – Saturday 7th week (26th Nov). Afternoon/evening tournament in a nice warm swimming pool in a friendly team that aim to have fun. North Wales White Water Trip – End of 5th week. This trip will also be suitable for everyone that regularly comes along to sessions this term, regardless of prior experience. Membership fees are £35 per year for Oxford University students, and £50 for everyone else. This covers the costs of buying and maintaining all the equipment and sessions the club offers, safety stuff like insurance, and storage of your own kit if you have any. Trips and tournaments are paid for separately. We also offer termly memberships which are £20 for OU-students, and £25 for everyone else. To join the club, fill in a membership form (attached) and pidge with a cheque to Jonathon Witty at St Catz College. Alternatively, bring everything along to a session to hand to Jon. Membership (new or renewal) must be paid before the first trip (end of 3rd week). nd/23rd October, the BCU Student Safety Seminar is taking place at Plas y Brenin in North Wales. This is a fantastically informative course which will be great for your personal development. (See website for more details- http://www.pyb.co.uk/courses-bcu-student-safety-seminar.php ). For anyone with previous paddling experience who is willing to help out at Sunday sessions and invest in the club, we are willing to subsidize the cost of the course for you, meaning it will only cost you about £40 (travel, accommodation) for a weekend trip. If you are interested in a place, TURN UP THIS SUNDAY (9th October) FOR A CHAT WITH ONE OF THE COMMITTEE MEMBERS. Right, that’s all from me. See you all on Sunday!! This entry was posted in Uncategorized on 2016-10-08 by ouckc. This entry was posted in Uncategorized on 2016-06-06 by ouckc. Show off your baking or just come and scoff cake and get to know the kayakers a little better. Stick your name (and if you’re baking, what you’re bringing) down here if you’re coming so we have an idea of cake-to-person ratios: https://docs.google.com/spreadsheets/d/1qziSdKBnS_7NRcf59xuAEW68-k98ChzlFXiksJlxz0g/edit?usp=sharing. There will be someone at Teddy Hall Porters’ Lodge (which is on Queens’ Lane, just off the High St) ready to let you in at 8.30pm. If you’re late, post on the FB group and someone will come out (hopefully without you having to wait too long) or very very nicely ask the Porters. Pretty much the same deal as yesterday for those who came along, a bit of coaching to help people get comfortable in a boat and then games. When: 11am, 1pm, 3pm (18th Oct). 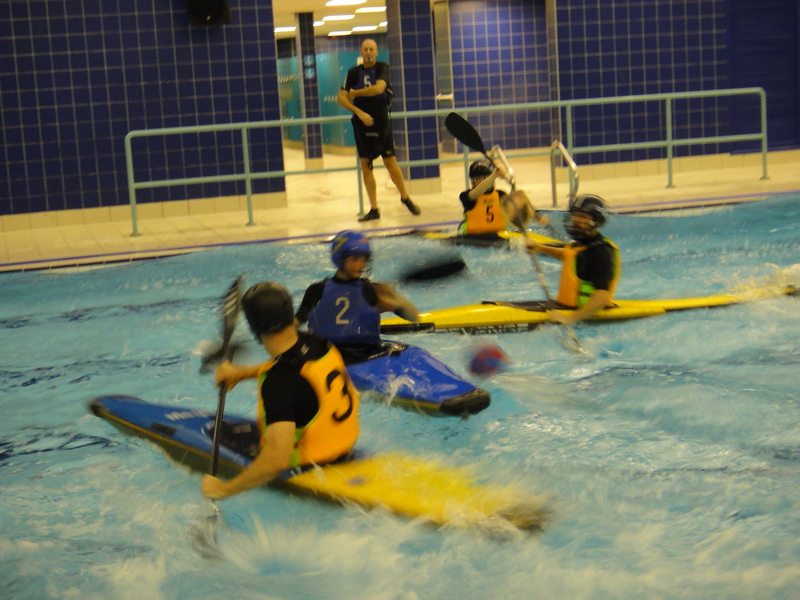 If you’re keen for canoe polo, come along at 11am where Chris, polo captain, will be leading a group covering the basics. Afterwards: we’ll head to the pub (Jude the Obscure on Walton St) for a hot chocolate/pint/chips where you can get to know us a bit better AND SIGN UP FOR THE FRESHERS TRIP. If you’re at one of the earlier sessions, feel free to pop back to join us in the pub at 5/5.30pm. We’ll have membership forms and committee members on hand to answer any of your questions. The first trip of term will be happening at the end of 3rd week (leaving 30th Oct evening, returning 1st Nov). The cost of the trip is £50 and this will cover transport, food, and bunkhouse accommodation. 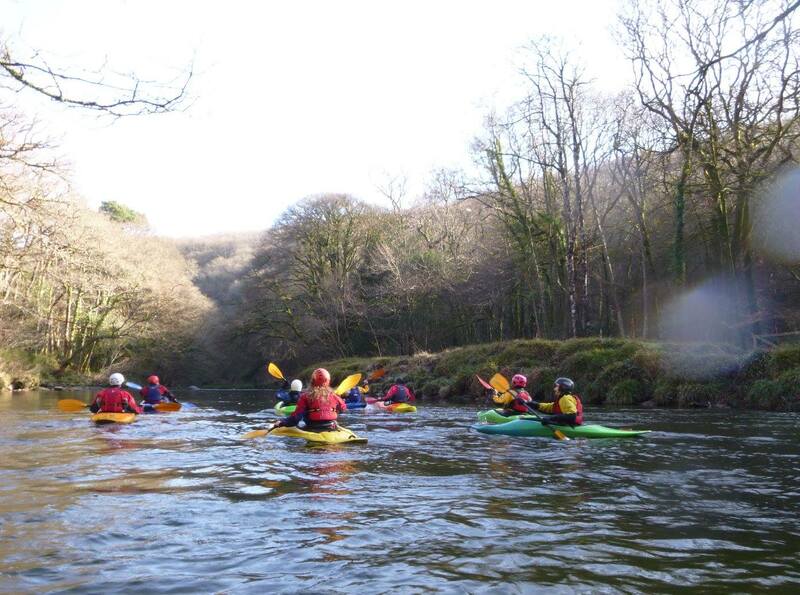 We’ll be heading to South Wales which has rivers to suit even those that have only just started kayaking; all we ask if for you to have attended a minimum of 2 sessions before the trip and have done a spraydeck test. Sign up will open at 6pm on Sunday (after the sessions) in Jude the Obscure, where we’ll be ready to answer questions, sign people up, and take payments (cash or cheque). 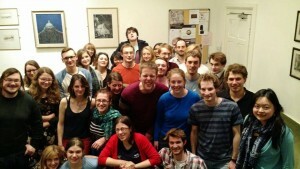 Membership fees are £35 per year for Oxford University students, and £50 for everyone else. This covers the costs of buying and maintaining all the equipment and sessions the club offers, safety stuff like insurance, and storage of your own kit if you have any. Trips and tournaments are paid for separately. We also offer termly memberships which are £20 for OU-students, and £25 for everyone else. To join the club, fill in a membership form (attached) and pidge with a cheque to Eleanor Broome at St Anne’s College. Alternatively, bring everything along to a session to hand to Eleanor. Membership (new or renewal) must be paid before the first trip (end of 3rd week). Right, that’s all from me. See you Thursday!! This entry was posted in Uncategorized on 2015-10-12 by anjam. DIDN’T GET THE WELCOME EMAIL BELOW? FEAR NOT….YOU CAN AVOID MISSING OUT ON FUTURE UPDATES BY SENDING A BLANK EMAIL TO CANOES-SUBSCRIBE@MAILLIST.OX.AC.UK TO BE KEPT IN THE LOOP ABOUT ALL OUR ACTIVITIES. This bumper email should give you everything that you need to know about trying kayaking, and joining the kayaking club this year. We also have a website (www.ouckc.co.uk) with all sorts of useful information and a Facebook group (www.facebook.com/groups/ouckc). We’re a friendly club that welcome anyone that’s keen to kayak, regardless of previous experience. If you still have questions after reading this email, feel free to get in touch! When: 11am, 1pm, 3pm on Sunday (11th Oct). 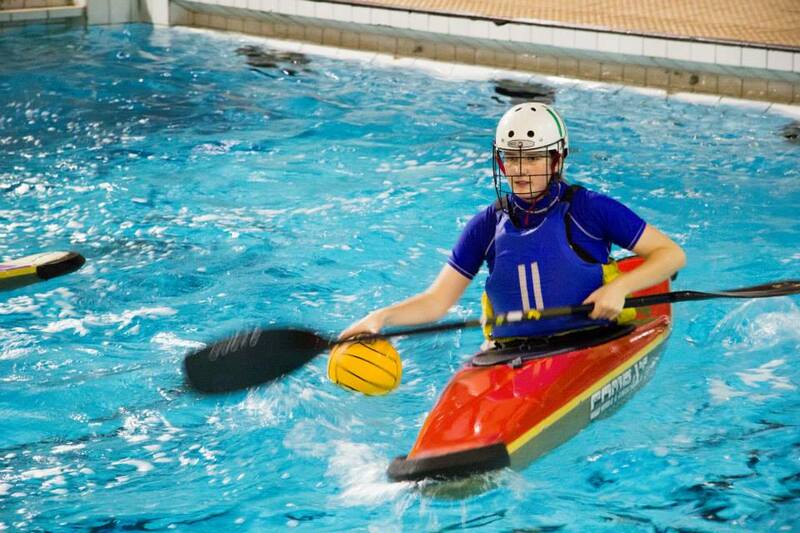 If you’re keen for canoe polo, head to the 11am session which will cover the basics and introduce the sport. What to bring: you need to bring some enthusiasm and a complete change of clothes (a towel is also very useful). 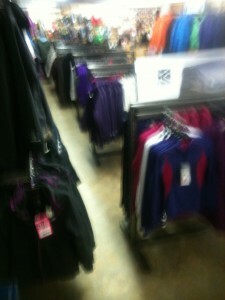 For on the river, synthetic sportswear or thermal type stuff is best. Make sure you have old trainers, wetsuit boots, or something similar to wear on your feet that you don’t mind getting wet. OUCKC will provide a waterproof(ish) jacket (called a cag), and all the actual kayaking equipment. If you do not bring the above then you will not be allowed out on the water. Bringing a bit of cash to get something in the pub (see below) after the session is recommended. 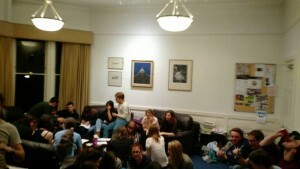 Cake and drinks – Thursday 1st week (15th Oct), 8.30pm @ Teddy Hall Bar. And, when there isn’t a specific social on a Thursday, we’ll head to Teddy Hall Bar for drinks (non-alcoholic drinks available too!). We also head to Jude the Obscure after every Sunday session. 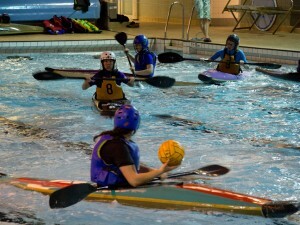 ULU Paddlington Canoe Polo Tournament – End of 1st week. 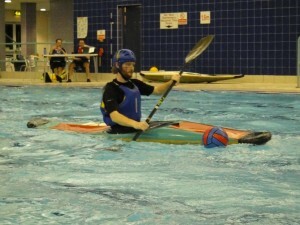 Get in touch with Chris Booth, Canoe Polo Captain, if you’ve done a bit of canoe polo and fancy joining in. 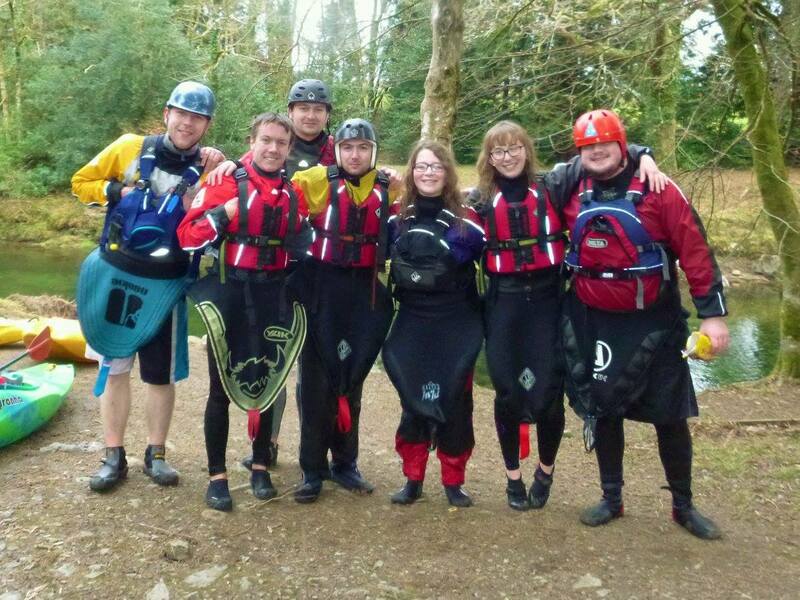 Freshers’ White Water Trip – End of 3rd week (leaving 30th Oct evening, returning 1st Nov). Even if you’ve never paddled before, a few Sunday sessions will teach you all you need to know to be ready for this trip to South Wales. Sign up will open Sunday 18th Oct in the pub after the kayaking session. Cost £50 which includes accommodation, transport, and food for the weekend. Further details to follow. Ladies Canoe Polo Tournament – Saturday 5th week (14th Nov). Afternoon/evening tournament in a nice warm swimming pool in a friendly team that aim to have fun. 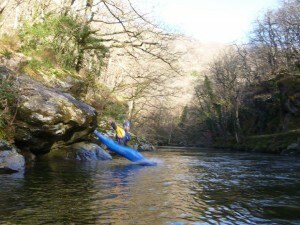 North Wales White Water Trip – End of 7th week. This trip will also be suitable for everyone that regularly comes along to sessions this term, regardless of prior experience. 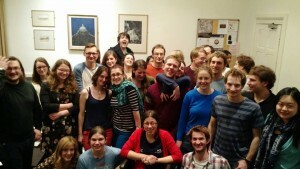 Membership fees are £35 per year for Oxford University students, and £50 for everyone else. This covers the costs of buying and maintaining all the equipment and sessions the club offers, safety stuff like insurance, and storage of your own kit if you have any. Trips and tournaments are paid for separately. We also offer termly memberships which are £20 for OU-students, and £25 for everyone else. To join the club, fill in a membership form and pidge with a cheque to Eleanor Broome at St Anne’s College. Alternatively, bring everything along to a session to hand to Eleanor or another committee member. Membership (new or renewal) must be paid before the first trip (end of 3rd week). Hopefully this has given you a good taste of what OUCKC has on offer. I look forward to seeing lots and lots of you at the first sessions of the term on Sunday!!! This entry was posted in Uncategorized and tagged welcome on 2015-10-09 by anjam. We set off on the Friday night to load up at the shed; four of us, four boats, one car; what could possibly go wrong? OUCKC trips are known far and wide for their efficiency and flawless execution. Getting the four boats to sit on the roof racks took three goes, eventually proving successful as the boys boats stacked, and the Little Joes spooned side by side. Faff levels: medium. We set off to visit one of our favourite retreats; Aldi. 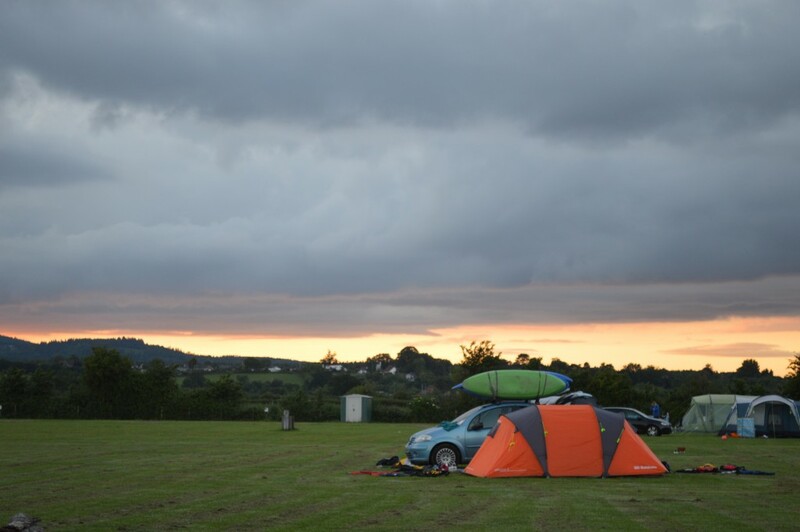 After purchasing dinner, it became apparent that the campsite that we were planning to drive to that evening had in fact not been booked. Faff levels: rising to medium-high. Upon consultation with the owners, we discovered it was full. After much deliberation we found another campsite, and headed off out of The Bubble into the depths of the Forest of Dean. Helen, Anja, Cormac, and Squishy arose to the sunshine on Saturday morning, and headed to Symonds Yat for a bit of surf kayaking (…). Mizdrak went into full on coach mode, seeing us lying on the carpark on our backs pretending to swim down a rapid, and stuffing pain au chocolats into our buoyancy aids, while the rest of the carpark looked on in envy. Squishy’s first time on moving water proved successful, and we worked our way up the eddys and rapids practising breaking in and out, ferry gliding, rolling on moving water, and throwlining unlucky victims. The evening saw a sunny BBQ and an enormous bottle of Pimms finished off, and The Times Crossword (of course); a very pleasant evening, until the crossword was destroyed by a stray glass of Pimms. A tragedy. Day Two saw more of the same practice, with everyone enjoying the chance to improve their skills on the Yat, and have the chance to really focus on more difficult areas without gettingcold and wet. We drove home in the sun, after another great weekend of fun, faff, and paddling. This entry was posted in Uncategorized on 2015-07-11 by Helen Tatlow. On Sunday 15th February Sophie Louth organised a Mad Sunday of Polo with a training session in the morning for the more experienced players and a introductory session in the afternoon – that turned into a giant game of polo. Thomas Leissing was on hand in the morning to offer coaching, from his high point on the bank (due to a shoulder injury) he was able to give individual feedback on shooting, passing and keeping style. In the afternoon two teams of five took to the pitch to show off their prowess. Lady of the match was Lizzy Mansfield who, although new to kayaking, took up the sport with great enthusiasm choosing to tackle Cormac Browne even though he was in a considerably larger boat. Lizzy is one to watch, and I think her future in the sport will be bright as she becomes an asset to the Oxford team. This entry was posted in Polo and tagged Polo, Sunday Session on 2015-02-24 by Sophie. Firstly, there is faff, which is basically where a bunch of kayakers attempt to get themselves organised as efficiently as possible, but never quite manage it. Faff is not something I had come across before I joined the club, but it’s this wonderful part of club life that you quickly get used to and secretly come to love. I’m fairly certain somewhere it is written, “OUCKC – faffing since 1952”. A rather fitting slogan. For example, one of the first things we had to do was get our boats out of the shed. If we could do this with no faff, then we would just get the boats out of the shed. 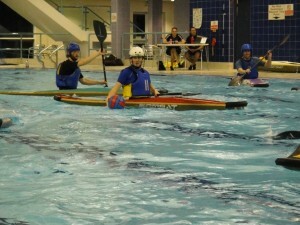 However, when an OUCKC paddler attempts to get their boat out, they nearly take out an overhanging light and a fellow paddler in the process, trip over an inconveniently placed buoyancy aid and stumble outside only to lose grip off their boat so that it tumbles unceremoniously on to the ground. Yes, I admit that was me faffing about with my boat. Actually, most of the other paddlers were a lot more graceful about it all, and we soon had our pile of kit assembled while we waited for the others and their cars to arrive. The car that I would be riding in was heard before it was seen. It was squeaking as it trundled down the lane, and genuinely creaked to a halt. Quite possibly one of the best cars I have ever seen. Hannah and I were subsequently buried alive under various bags in the back, and we were off in a cacophony of squeaking and creaking to the well know establishment of haute cuisine, Aldi. The mission: to get enough food to feed fourteen hungry paddlers over a weekend under budget. Did we succeed? Yes. I’ll be honest, it looked a bit dicey there for a second, but we bravely pulled through and even went back to rescue some flapjacks that had been left behind. The rest of the journey was a lot less eventful, although there was a cheeky tea (and Belgian chocolate caramel shortbread slice) stop on the way. There was also a brief moment where it looked like we were about to crash in to some horses, but we managed to dodge them and the sheep rather expertly. We were also entertained with stories of the great Maple Syrup heist that occurred a few years ago and we were informed of the potential dangers of catfish (no, I don’t know how we got on to these topics). We eventually arrived at our bunkhouse in the middle of the Dartmoor moors, and of course Chris had once again used the force to get there first. The following morning, after an expertly cooked breakfast from our resident chef Cormac, we headed to the Dart Loop. What followed was, shall we say, scrapey. The water levels were rather low, and there were a ridiculous amount of rocks. Nevertheless, we got to practice skills such as ferry gliding and eddying in and out and how best to right oneself when you’ve hit a jolly big rock. Some of us beginner-y folk were even sent down some of the rapids first so that we could practice picking the line. For the most part this worked very well, until one of the fairly new people unexpectedly found the river disappearing over a drop, which in higher levels of water is known as ‘washing machine’. Incidentally, she picked a very good line and handled it very well! Well, there may have been some screaming, but that only added to the excitement. And I will admit that some of that screaming came from me. There were a few swims due to all of the inconveniently placed rocks, but everyone paddled really well and us beginners felt like we were making progress. 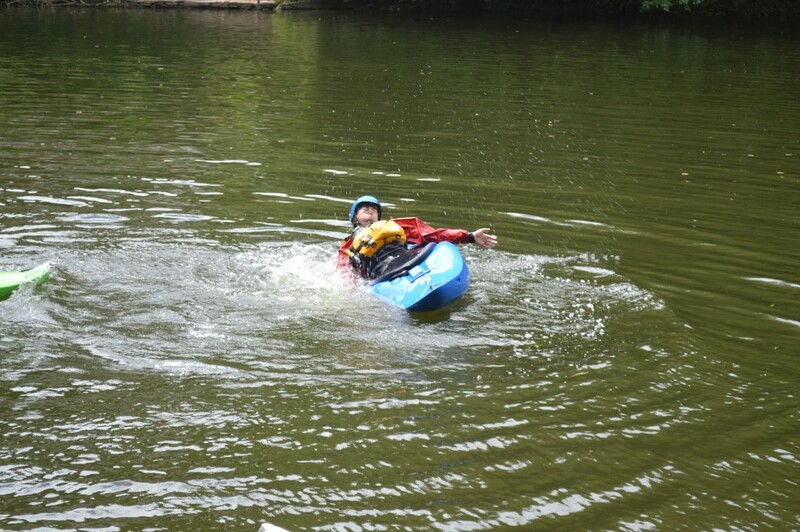 There was even one beginner who had never been on white water before and had only done a few Sunday sessions, who paddled brilliantly and did not take one single swim! The get out was at a country park and involved a slightly too long portage up a hill. But we managed it and arrived at the car par to begin our tasteful car park changing act which we all have down to a fine art. Once we were all dressed, another paddler from a different club came to tell us that there were showers and a changing room for us to use round the corner. Great. After a bit more faff, we got all the boats and kit on or in the car, and headed back to our bunkhouse. We then had a nice chilled evening chatting and drinking (I personally hit the tea), and there was also a game involving listing as many things as you can within a topic. Some of the more PG rounds that I’m allowed to type in this article included naming as many different kinds of biscuits as you can, and as many Harry Potter characters as you can. Our head cook then whipped up a delicious beef stew, and an equally tasty veggie version too. As it was Matt’s 21st, we even had some chocolate cake which involved the interesting task of cutting a square cake in to fourteen pieces. He sensibly cut it in to fifteen pieces, and then he was given the challenge of eating the last piece as quickly as possible. I believe he managed to annihilate the piece of cake in under ten seconds? The following morning, all the self-inflating mattresses were deflated, everyone collected the thermals that were hung up anywhere and everywhere, and we all set about cleaning the bunkhouse, ridding it of that wonderfully indefinable smell of river. After a very efficient clean up job with minimal faff, we headed to the river. We split in to two this time, with the more experienced paddlers giving the Upper Dart a bash, while the others took the beginner-y people down the Dart Loop, with the added bonus of the Lower Dart for the more energetic. We had another scrape-y, but nonetheless enjoyable bob down the Dart, and we all reconvened at the country park carpark ready to head back to Oxford. All in all, it was a great weekend and very beginner friendly. 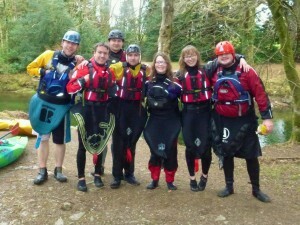 If anyone else is thinking about having a go at some white water, then they definitely should join us on the next one! 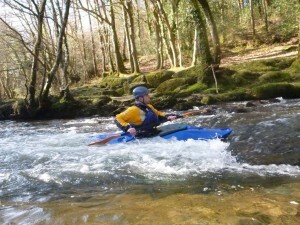 This entry was posted in Trips and tagged Dartmoor, White Water on 2015-02-18 by Sophie. 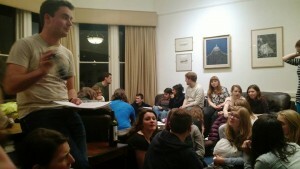 On Thursday 29th January OUCKC launched their fundraising bid for the new shed with a quiz night. 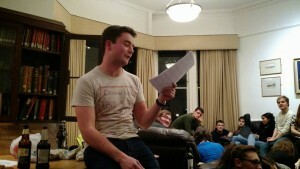 Organised by Helen Tatlow and Hannah Theaker, quizmaster extraordinaire was Jonathan Foxwell. Over £100 was raised during an enjoyable experience at St Anne’s MCR. Questions ranged from the bizarre: What item was recently sold on ebay, described as having been covered in all bodily fluids imaginable? To pictures where a number of challenging dingbats formed one round. This entry was posted in Social and tagged fundraising on 2015-02-02 by Sophie. 9 reasons why you need to attend the OUCKC Quiz Night Thursday 29th January, St Anne’s MCR, 7.45pm! Thursday 29th JANUARY , 2nd Week, 7.45pm, St Anne’s MCR, £3 entry per person, BYOB, (+money for raffle tickets), everyone is welcome to come. There’ll be people to meet you outside Anne’s/ the MCR so you don’t get lost. Current members of OUCKC; it would be really great to see you come and show your support for the club, even if you’ve only been to one Sunday session, or even none, we’d love to see you and welcome you to the club! Come and have a chat about upcoming trips and events, and get to know some more people. This entry was posted in Social, Uncategorized and tagged Awesomeness, drink, fundraising, quiz, social, Thursday on 2015-01-28 by Helen Tatlow. 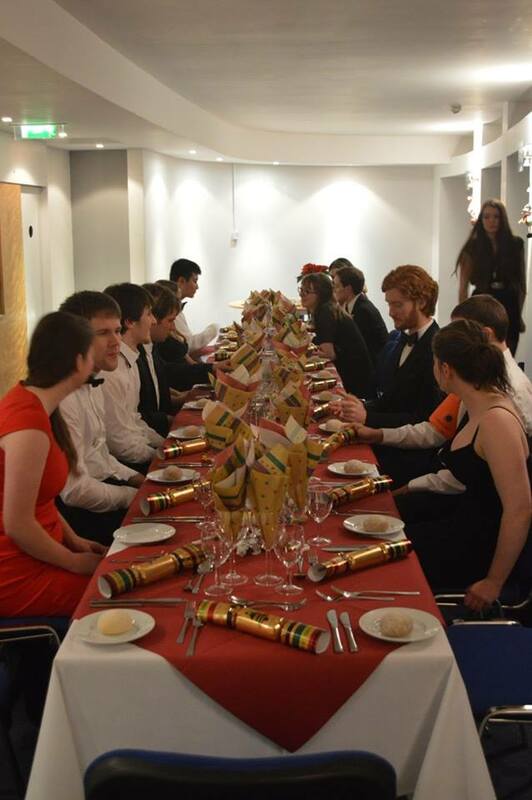 On Thursday 27th November 2014 we had our annual Christmas Dinner, this year it was held at the University Club. We had fun. Prizes were awarded. This entry was posted in Social and tagged social on 2014-11-27 by Sophie. We rocked up at Stratford with a team of four, so confident were we of winning due to illness. We started with a match against Amazons where we were able to press the zone repeatedly and had lots of shots on goal. Our first goal came for a break, Anja Mizdrak started ahead dribbling with a pair of defenders putting pressure on her. Abi Edmonds came through from behind, calm (but fast) as anything, received the pass from Anja past the defenders and made a beautiful left handed shot on goal into the bottom corner. Sadly two goals from Amazons left us 2:1 down but we were still fighting. At the second centre restart Helen Tatlow passed to Sophie Louth as the team put pressure on the unusually tight zone, Sophie was able to shoot over the zone (who were distracted by the aggressive attack of the rest of the team) and passed the keeper, now we were drawing. Sadly at the last minute Amazons managed to make a break from our press and score the winning goal. Next we played University of London’s A team, one of the most successful university ladies teams in the country. This game was rather less successful due to their aggressive attacking style leaving us with a 8 nil defeat. Meridian was our next opponent, the largest club in the country and therefore a large pool of players to choose from. Another tight match with goals from Anja and Helen but sadly not enough again loosing 3:2. Lastly we played UoL B team where we thought we had a better chance but although Sophie scored one last goal and all had a number of shots on goal, their new keeper trained at Warwick Uni was too good and we lost 3:1. This entry was posted in Competitions, Polo and tagged Div2, Polo on 2014-11-22 by Sophie. On Saturday Oxford’s Men’s Canoe Polo A Team played the first tournament of the National Division 4 league at Cheltenham. This is part of the national frame work organised by British Canoeing attended by almost all clubs in the country (most of whom aren’t university teams), with Oxford being the only university team in division 4 south west. Due to a smaller than usual number of teams in the league it is to be played out over 3 Saturdays rather than 4 resulting in 5 matches a tournament rather than the usual 3 or 4, so with Oxford having brought no subs it was going to be a grueling evening. 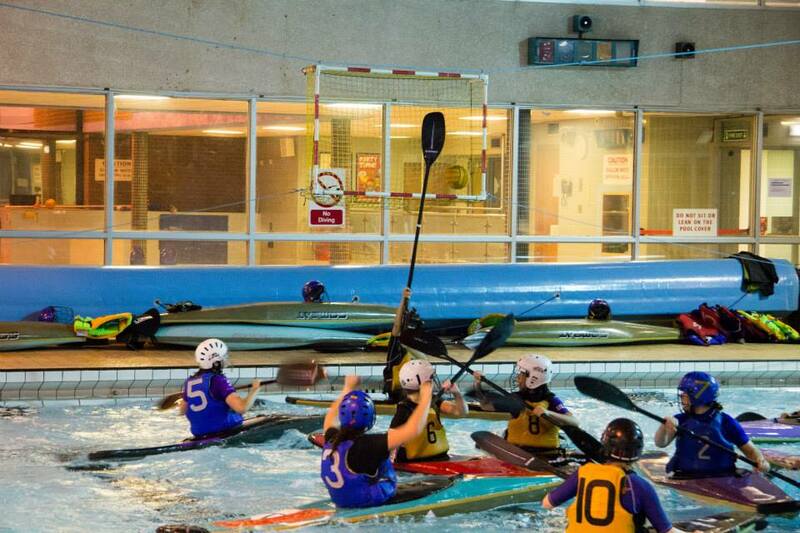 After a slightly manic warm up, where all six teams tried to use a 33m pool at once, Oxford was in the first match against Dragon B from South West Wales, a team which included 2 players from the GB under 21 women’s squad. A 2 nil loss was all that could be managed but given the 8 nil thrashings Dragon inflicted on a number of the other teams this was a good start. One game off and back on again this time against the Celtic Warriors strong contenders to lead the tournament overall, however they struggled. At half time the score was 1 nil to them before a goal from Matthew Coulson brought the equaliser. Play for the next five minutes was pretty even with both sides having a number of attempts on goal. However a last minute ruckus in our zone went against us and they were given a free shot right under our goal leading to a final score of 2:1. Two games off this time where some food was consumed and Chris Booth and Sophie Louth manned the table before taking on Avon E from Bristol who had some new body protectors in bright orange and green (they are reversible so you don’t need bibs). The first half started well for Oxford with some good attacks on their zone and a number of shots on goal, some of which went high but the majority of which were saved. However Avon also had a number of attacks on our goal and although they had some issues with the rule which prevents attackers from touching the keeper one of their three goals stood, so one nil down but fighting. Sadly at half time Avon established Oxford’s greatest weakness, the team has lost the goalkeeper from last year and haven’t yet trained a new one, so Jack Laverick stepped in but without any training and due to Oxford’s lack of a permanent goal to practice with Laverick had his work cut out. Oxford progressed well at the start of the second half setting up an attack and getting Booth in position for a beautiful shot off the keeper’s paddles and into the top of the goal. This seemed to spur Avon on and they mercilessly abused our lack of keeping strength taking a higher number and riskier shots than they had done previously (or would be wise against a strong keeper) and left us with a final score of 5:1. Two more games off and then a game against Bridgend C; one of the only teams to bring subs (or children or supporters). This was a very wet game for Oxford and Bridgend due to binning; the legal practice of capsizing a player who has the ball. Thomas Leissing started the games with a strong sprint winning the ball (as he did in most of the other games) and with Booth who had supported was able to press into the Bridgend zone rapidly and put their defense under strong pressure, with Louth coming in to take a shot which was saved but the resulting corner was converted into a goal by Booth. Booth and Louth worked together as chasers routinely taking the ball of the Bridgend players, resulting in Leissing and Coulson repeatedly sprinting from defense to attack as their superior masses are best utilised in the zones, it is just a shame they are at opposite ends of the pitch. In the second half Booth attempted to grab a loose ball to his side by diving on it but although the self binning tactic didn’t quite work Laverick picked up the ball and passed it back to Booth who had promptly righted himself to score for the second goal of the match. The last game was against Bristol Pittbulls a significantly more experienced team than Oxford who used superior strength, speed and tactics to win 3 nil. This entry was posted in Competitions, Polo and tagged Div4, Polo on 2014-11-15 by Sophie. The BCU Student Safety Seminar 2014, a.k.a. We go to North Wales, go paddling, eat bacon, and get far too excited about jenga bricks…. We set off from Oxford at 5.00am on Saturday morning, breaking free of the bubble at approximately 5.17am, after uncharacteristically minimal faff .The motorways were blissfully clear…except for one lorry who’s driver had decided that he’d gone in a straight line for long enough, and that swinging wildly across the middle lane and hard shoulder for twenty miles so that no one behind could overtake was a much better plan. 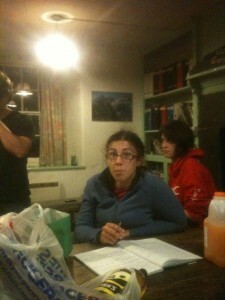 We arrived at Plas y Brenin, the outdoor sports Mecca of the UK just in time for the morning lectures to arrive. They had decided to get the boring stuff out of the way first. The first was on The Law, and our rights and responsibilities as club and committee members. This contained lots of useful information about legal minefields that can seem baffling, though arguably more useful was the tea and coffee break at the end of the lecture. The next was on transport, including lots of gory photos of people with golf ball sized eyes, etc, etc. We succeeded in piling four boats on top of the Berlingo without a step ladder or considerable height (again with little faff), and headed to the bar to eat. We sat sharing stories about the club with George, an Old Git who was working at the seminar. We downed our many pints (of water) and went to watch a lecture on some cool paddling trips, hearing about drunken elephants, crocodiles, gnarly white water, some lucky escapes, and lots of beer. Thomas beasted it the kayaking erg machine, with 12 seconds for a 50 m sprint. Super tired, we headed to the mountain hut where we were staying, up a bumpy grass track. Suddenly, energy appeared as tiredness progressed to the next level (and energy drinks and alcohol appeared). We found an epic jenga set, made out of plastic bricks. After playing a few rounds of jenga, none of which lasted long because Ben decided that taking the bottom brick out every time was a good tactic, we realized that the bricks had other uses. The next few hours consisted largely of seeing how far we could flip them into the kitchen using a toasting fork / how many we could catch in a saucepan. Sunday came around, and we packed up quickly, ate bacon sandwiches, and put on our paddling kit for the day. All was going to plan. 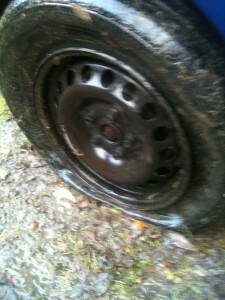 We drove down the track, out onto the road, when, lo and behold, (standard trip) disaster/faff struck. Helen’s car (AJ) started to make some interesting metallic/scraping/ banging noises. It had probably made the noises yesterday, we just didn’t hear them with the music on so loud (Apple bottom jeans jeans), so it was probably fine. We kept driving. However, the metallic/ scraping/ banging noises continued, so we thought we should probably have a look, pull a rock/ grassy tuft out of the way. It turned out to be an absolutely flat front tyre. This was not good. Thomas, Ben, and Hannah went off to paddle, in the Berlingo, while Helen and Anja stayed to wait for the flat tyre man to come. We sat in the rain on a drybag, contemplating life, designing stash, and looking at the aweomse rainbow over the field, which made the whole situating generally more enjoyable. Spare tyre on, we headed into Bets-y-Coed to look around the outdoor shops to make the most of a paddling free day. Driving home at 50mph with the spare tyre took hours, and we tried to ignore the sight of kayakers on EVERY ROAD, EVERY RIVER, and EVERY LAYBY we passed. 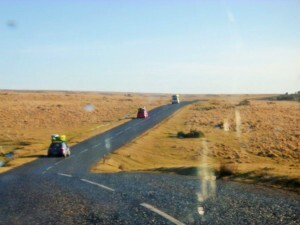 We also refined our eddy hopping skills as we maneuvered our way down the A5’s many (many) laybys. But it was a good team bonding experience, and AJ survived to tell the tale. 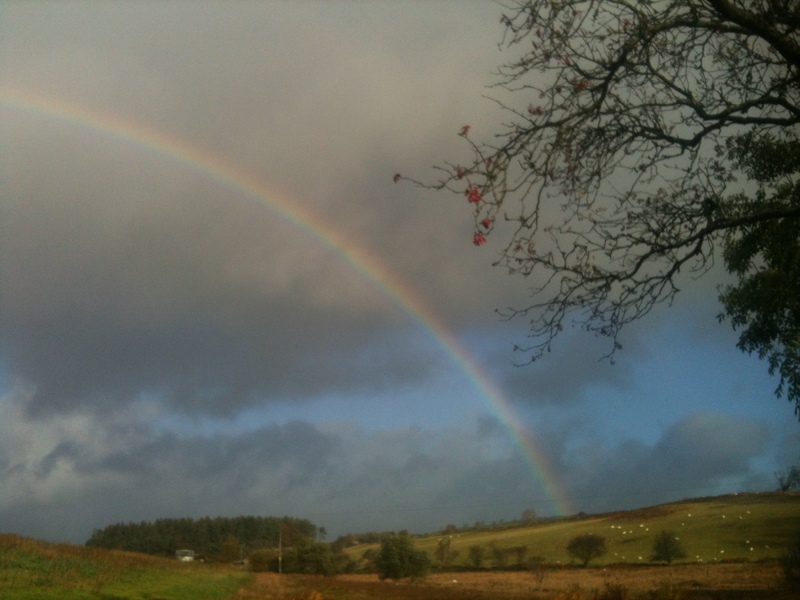 This entry was posted in Trips and tagged Bacon, BCU, Flat tyre, North Wales, Student Safety Seminar on 2014-10-22 by Helen Tatlow. 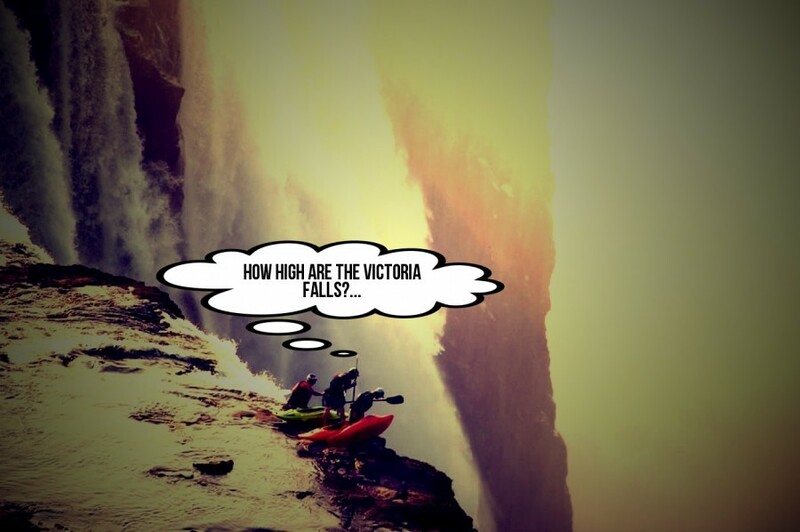 An exciting set of weekly kayaking notices, including sign up for the Freshers’ Trip! This years freshers’ trip will be taking place at the end of 3rd week (31st October – 2nd November). It will be a trip away for the WHOLE weekend, we’re planning to paddle some introductory white water so nothing too gnarly just yet! 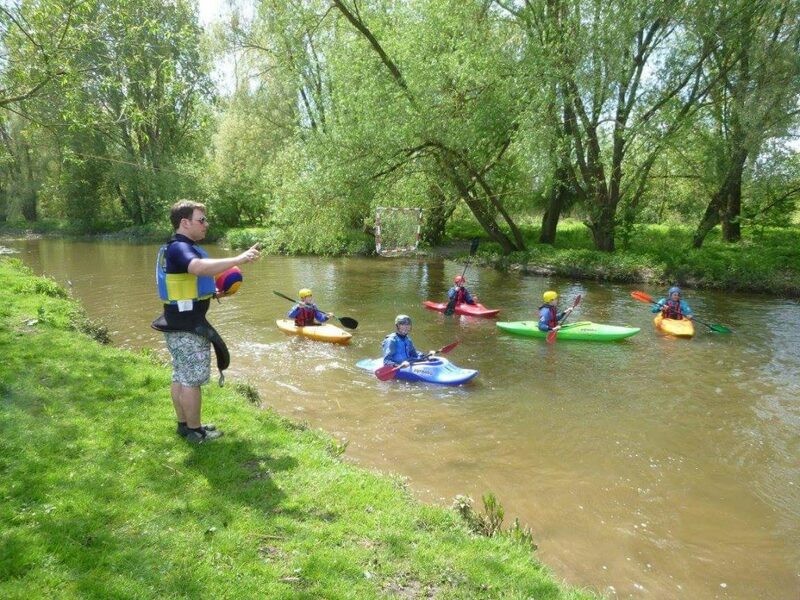 There will be kayaking options to suit all ability levels so you’ll have a great time whether you’re an experienced paddler or not. We will be leaving from Port Meadow on the Friday evening (time TBC) and returning fairly late on Sunday night. The only experience required for the trip is that you have attended a Sunday session or two, have completed a swim/spraydeck test, and be a fully paid up member of the club. More information about what to bring will be emailed out to those who sign up, but it is the same as Sunday sessions: loads of warm clothes and suitable shoes. We’re staying in Brecon so you’ll also need a sleeping bag and roll mat. Sign up for the Freshers’ Trip, have a couple of pints, and a chance to share Sunday session/flat tyre/canoe polo tournament stories from the weekend…what more could you want from an evening. If you’re having trouble getting in, post a message to the Facebook group (phone signal is suboptimal in Teddy Hall). We need a couple more girls for the canoe polo this Saturday afternoon. The competition is in a nice warm swimming pool and against other women’s teams so is the perfect opportunity for any girls out there that want to give it a go. If you’ve enjoyed chucking a ball around at the Sunday sessions so far then you’ll have a great time. Get in touch with Sophie or Anja if you’re keen. 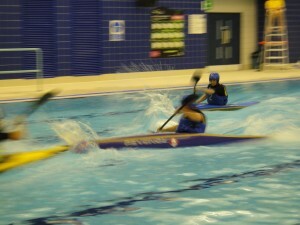 Get yourself to the shed to do some canoe polo training. You will need the same stuff as for Sunday sessions (a change of clothes and a towel) and enthusiasm for what is a ridiculously fun ball sport played in kayaks. Same deal as the last couple of weeks, turn up to the shed for games and coaching/skills building before the Freshers’ Trip. It is also a final chance to do a swim/spraydeck test before the Freshers’ Trip. You MUST bring a change of clothes and old trainers or similar to wear on the water. 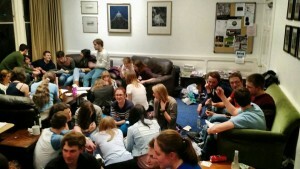 The annual BUCS white water race will be taking place at the end of 6th week and Chris is beginning the organisation. We need at least three women and three men to go along to compete. The white water race is also one of the four Varsity disciplines. If you have some kayaking (and white water) experience and might be interested in competing, please let Chris know. Membership for this academic year is now due. The cost of membership is £35 for the year, or £18 for one term. Please fill in a membership form (available here: http://ouckc.co.uk/wordpress/other-stuff/) and pidge it along with a cheque to Matthew Coulson (Queens’). Alternatively, you can pay and pass on forms on Thursday at drinks or at the Sunday afternoon sessions. Please note that you must be a fully paid up member (and have done a spraydeck test) in order to come on ANY club trip. 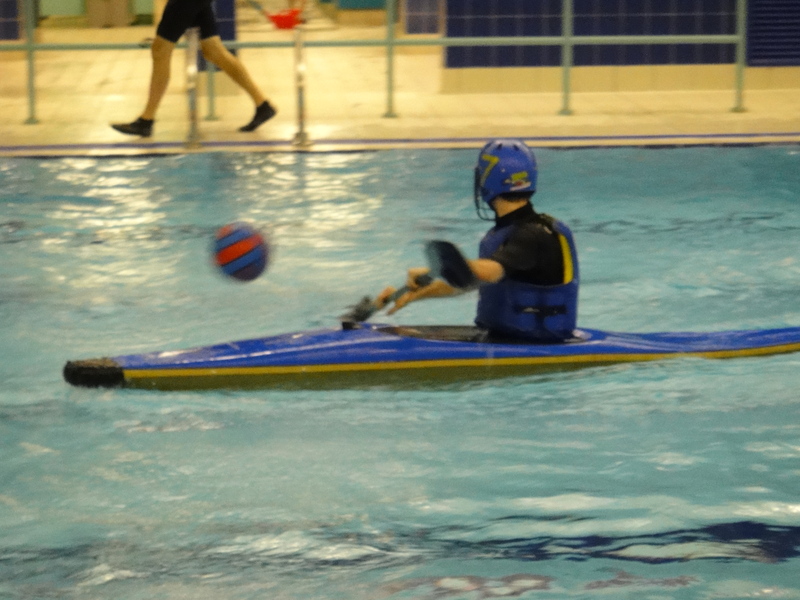 Please note that if you haven’t come along to a session yet, you are free to come and give kayaking a go at any of the Sunday afternoon sessions before you commit to membership. This entry was posted in Uncategorized and tagged weekly email on 2014-10-22 by anjam. Membership for this academic year is now due. The cost of membership is £35 for the year, or £18 for one term. Please fill in a membership form (available here: http://ouckc.co.uk/wordpress/other-stuff/) and pidge it along with a cheque to Matthew Coulson (Queens’). Please note that you must be a fully paid up member (and have done a spraydeck test) in order to come on ANY club trip (this includes people who are going away this weekend). Please note that if you haven’t come along to a session yet, you are free to come and give kayaking a go before you commit to membership. Come along to get to know everyone a bit better and ask lots of questions. It also provides a perfect opportunity to pay membership if you’d prefer to do it by cash rather than cheque. 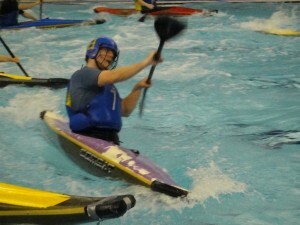 Same as last week, much fun to be had in kayaks for both experienced paddlers and complete novices. Remember that you MUST bring a complete change of clothes (including old trainers or similar to wear on the river) and a towel. It is highly recommended that you bring a bit of cash along so that you can warm up in the pub (Jude the Obscure) after the session. Please be aware that there are dedicated marathon and canoe polo mailing lists, details of how to join them are located at the bottom of this email. Marathon training is on Fridays at 7am and you must speak to Thomas Leissing before attending. 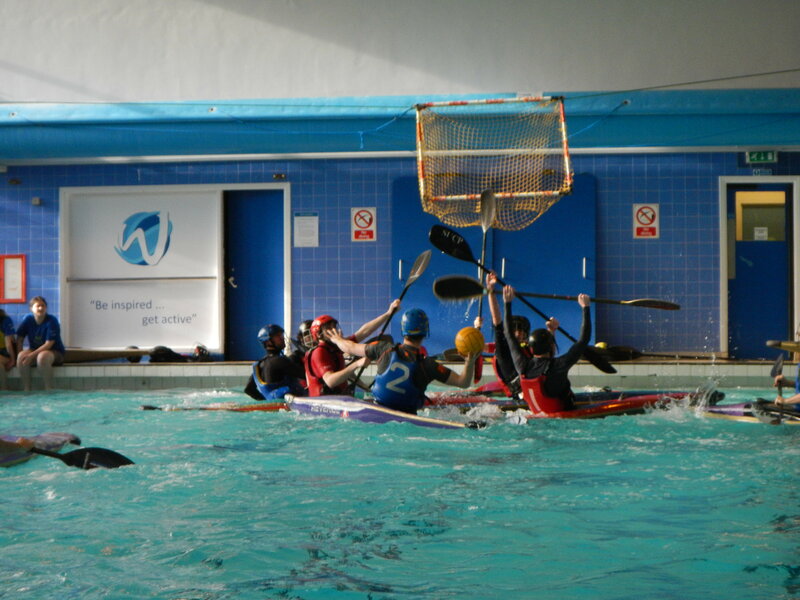 Canoe Polo training is on Sunday mornings at 11am (apart from when there are tournaments on), with other training on an ad hoc basis advertised through the lists and Facebook group. 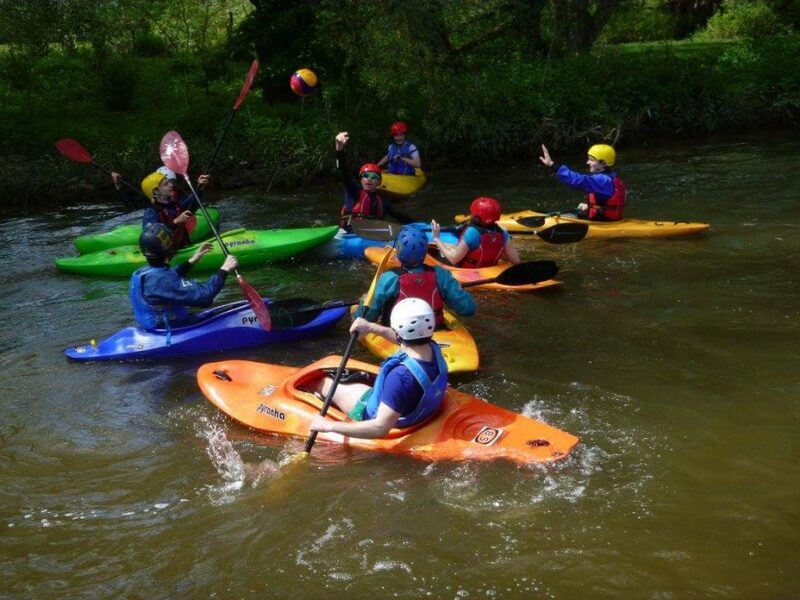 Put the date in your diary to make sure that you are free for this fun-filled kayaking weekend. 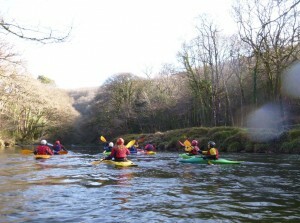 We’ll be headed to South Wales where there will be a variety of flat and white water kayaking options to suit all ability levels. The plan is to leave on Friday evening (31st Oct) and come back on Sunday evening (2nd Nov), staying in a bunkhouse. Expected cost is £45 which will cover all transport, accommodation, kayaking equipment and food. Plans and costs are being finalised. If you have a car and are willing to drive, please let Bryn know ASAP. If you are a competent leader on either flat or moving water and can attend the trip, also let Bryn know. If you are a beginner/new person, you don’t need to do anything yet. If you’re a female interested in canoe polo, then you’ll be pleased to hear that this year there is a Ladies Div 2/ Development league for the first time as a way to encourage more women to play. If you are interested in taking part, send an email to Sophie Louth. The first tournament is on the afternoon/evening of the 25th October (end of 2nd week). All the games will be played in a nice warm swimming pool. There are around 4 more over the rest of the academic year. No previous kayaking or canoe polo experience are necessary to get involved, just enthusiasm and a willingness to give it a go. As always, please check the rest of the website for more details but if you can’t find something on there then drop me an email. This entry was posted in Social, Uncategorized on 2014-10-14 by anjam. Some exciting things have happened over the summer. We now have a Facebook group (www.facebook.com/groups/ouckc) to share amusing kayaking related clips, keep up to date with events, and announce last minute unofficial pub and paddling trips. Title says it all really. If you have stash, try and wear it so that new people can recognise us easily. Failing that, bring carrots. 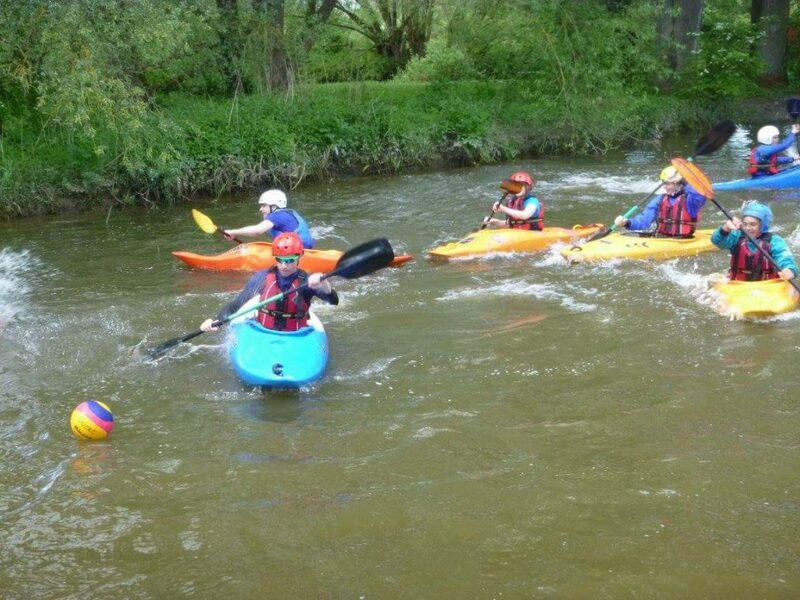 Whether you’re a seasoned kayaker or you don’t know a paddle from a punt pole, come along to a session on Sunday to come and get to know the kayaking club a little better. What to bring: a complete change of clothes and a towel. Please note that you MUST wear a pair of old trainers or similar on the water (flip flops aren’t appropriate as they get sucked up by the bottomless mud on the riverbed). To give us an idea of numbers for each session…please state which session(s) you’re coming to here: http://doodle.com/289mmbewgsn5rbcm . If everyone that knows their way around the shed could help to give out BAs and helmets and make sure that kit gets put back in the right place then that would be a massive massive help to the leaders. The shed got a good cleaning/ tidying over the summer and it’d be fab to keep it looking lovely. A really really useful weekend for anyone with any responsibility in the club (leader, committee, etc) or anyone who’d like to take on coaching or organisational roles in the future. 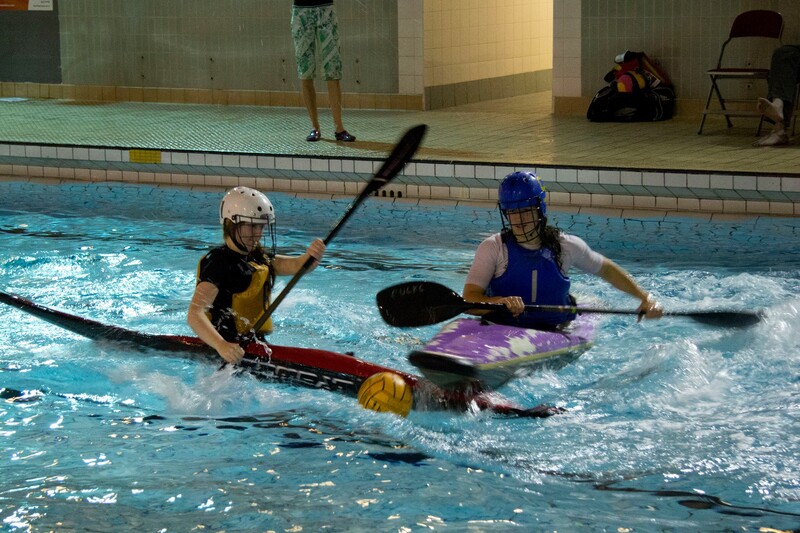 This is a course organised by the British Canoe Union (BCU) specifically aimed for students in University clubs. Details of the actual course can be found here: http://www.pyb.co.uk/courses-bcu-student-safety-seminar.php. It is probably the best and cheapest way to get some qualifications (e.g. 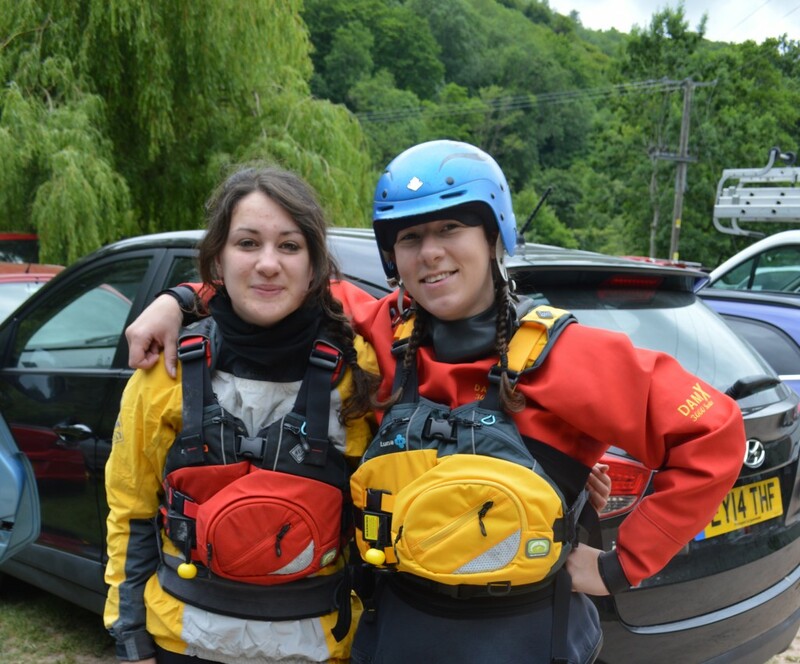 Foundation Safety and Rescue) and get to know a bunch of other friendly university kayakers. Helen (Women’s Captain), our super womens’ captain, is organising this one so please email her to sign up ASAP. 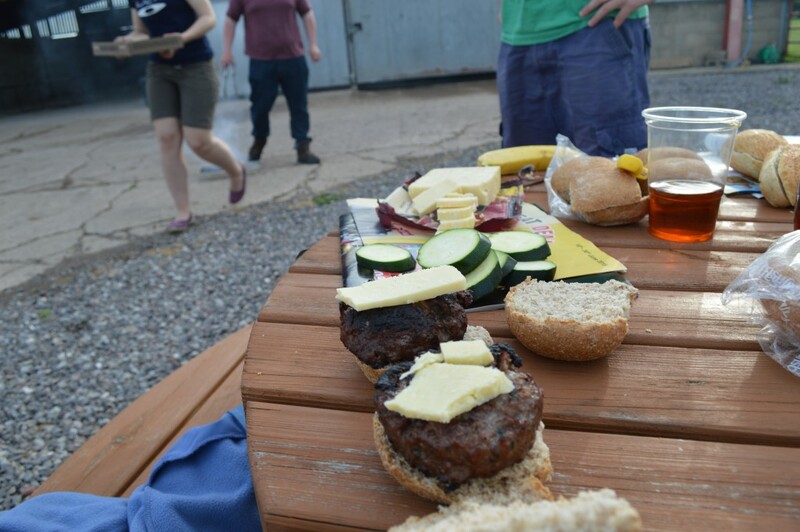 The cost of the weekend will be ~£65 which includes the course fee, accommodation, and transport. 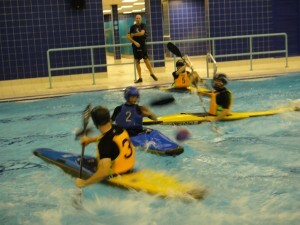 There are still a couple of places on the canoe polo team for the ULU Paddlington tournament. If you are interested, please email Chris (Polo and Mens’ Captain). Thomas (Marathon Rep) is currently in the process of setting up a formal agreement with Falcon (one of the town canoe clubs) to arrange marathon training for OUCKC members. Sessions currently run at 7am on Friday mornings and cost £2. If you are a club member, interested in giving marathon a go, and are fairly competent in a boat (i.e. can comfortably go in a straight line without falling in) then email Thomas to sign up to this week’s session. If you are a University approved minibus driver and are potentially keen to help out with driving on club trips then please email our Secretary Matt so that he can update the lists. Even if you did the minibus test for a different club but might be persuadable to drive for the kayakers, please let Matt know. Please do check out the rest of the website and if you can’t find the details you want on there then feel free to drop me (or the other committee folk) an email. That’s about all for now…see/meet you all soon!! Please note that email addresses are not included in this post to avoid the committee getting a load of spam. You can find the email addresses in the original email, or on the committee section of the website. This entry was posted in Social, Uncategorized and tagged weekly email on 2014-10-07 by anjam. Saturday morning and the 4-man polo B-team tour Oxford in search of boats, scattered by flooding! After collection from Cowley, and a brief hunt for the ever-elusive Ross, we were off and away! The first match saw a team learning how to play with each other, understanding each members’ strengths and weaknesses, and Ross remembering he’s a Keeper! Having drawn 1-1, we brought in the positives, learned the lessons and gained Mike, a wonderful ringer in pink shorts, to take us up to 5. The next 2 games were a great success, with goals galore against Bangor & ULU! Our final match of the pools was against Southampton. Unlucky in our shots and Southampton lucky in theirs, this saw us 1-0 up at half time, before Southampton got away 2 to win the game. This put us in the 3rd-4th play-offs against… SOUTHAMPTON! This time the Oxford Bs took no chances. A very convincing team performance and a cool head from Mark as he was binned gave us a 5-2 victory and Bronze medal. A great tournament all-round and a demonstration of how team play really does win the day, thanks to Mark, Ross, Matt (and of course Mike!). This entry was posted in Polo, Trips, Uncategorized and tagged Awesomeness, Carrots, Polo, Warwick on 2014-03-06 by ouckc. 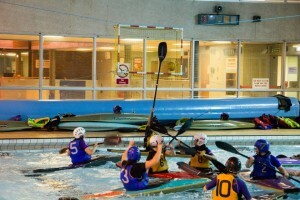 Cambridge have postponed Varsity (1st March) due to unpredictably high levels that are currently making the Cam unsafe. More information will follow when Cambridge give it to us. 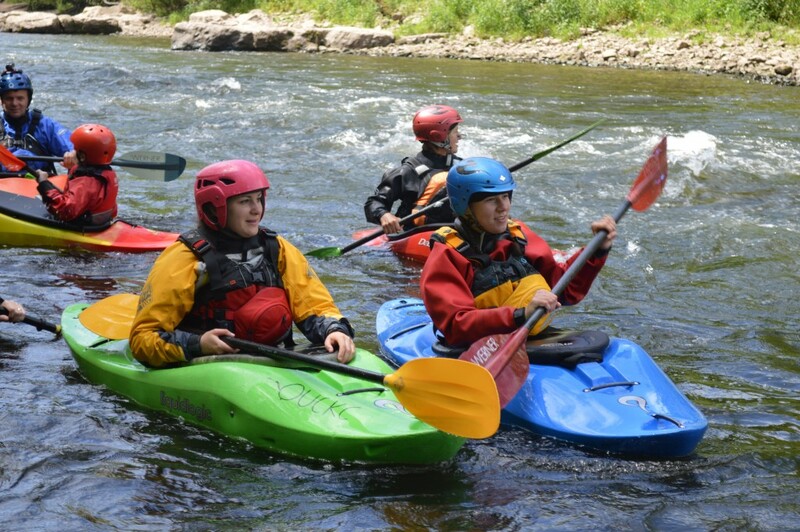 Apologies to all who had planned to attend, however there are exciting White Water and Polo trips on offer in replacement, see emails and the forum for information. This entry was posted in Polo, Trips on 2014-02-19 by Sophie. So 3rd week saw the canoe polo A team challenge teams from across the south west for the third time this season at the mighty sport. Sadly it wasn’t our day. The afternoon began with a drive wade to the shed that was worrying and even more so when the sailors from next door had said the water had risen a foot in the last hour, would we ever escape from the shed let alone make it to the tournament? Luckily we did. Boats loaded we headed for Cheltenham, via the 5 pence toll booth, I got lost in Cheltenham again, reassuring theme. Tried to reverse in sixth gear and then nearly took our Chris’ car with my bonnet that was longer than I thought, but we had made it, we unloaded, changed and started to warm up thinking we had half an hour until our first match. Sadly not, a couple of teams hadn’t shown and they messed around the playing order resulting in us playing first which wasn’t ideal. Our first match was against Bristol pitbulls and our heads weren’t in the game, and although Joachim scored a great goal, bouncing off the keeper’s paddles and into the top corner we still lost 6-1. One match off to get our heads screwed on and ready for our next match against the mighty foe, Cardiff Bs, easily the strongest team at the tournament. Although we played stoically with some great saves from a number of our players, and two strong goals from Eike, Cardiff came in for the killing putting 8 shots away in our net. A bit more rest and some much needed food prepared us for our last official match of the day. Avon E’s the target, they looked our best hope of securing a win that day. We suffered heavily from some terrible reffing, but Eike was able to put away a good shot in the first half and we defended well only letting two in. During the second half a player from Avon made the mistake of spectacularly underestimating the ferocity of the ref and got sent off with a yellow for two minutes for asking for clarification about a foul. Sadly we weren’t able to take full advantage of this as the Avon players stalled for time. However Joachim scored two more goals but Avon were able to match them bringing the final score to 4-3 to Avon. Eike retaliated to the poor reffing by pulling up the previous ref on a number of points during the next game, although he perhaps could have pulled out a red card when the player threw a water bottle at Joachim’s head when asked to remove it from his BA. We played a few scratch games which was good for our technique but we ended up staying longer than we intending, resulting in us not getting back to Oxford until 10pm. Probably not helped by Jack’s navigation taking us a truly scenic route that got us high enough that the wind was so ridiculous that when Tom and I got out to check the straps we could hardly open the doors for the force of the wind pushing them shut. As we approached Oxford we started to drive down Binsey lane and the water was worryingly deep. By the time we got to the gate for the track it was pretty clear we didn’t want to go down it by car or foot, the water was not just sat on it a foot deep as it had been in the morning it was actually flowing across it. So we returned to drier land, but Tom wanted his bike that was stranded at the gate by the flood water, so Chris drove slowly through the floods while Eike held the bike steady out of the window, it was quite a ridiculous site to see ( video to follow). The boats and kit needed to go somewhere as the cars needed to go back to the hire company etc without it. So Matt agreed to brave the wrath of his scout and Tom his housemates to take the boats, while I took the BA and smaller stuff knowing full well that my scout would kick up a fuss, but given I think that is her hobby I wasn’t too concerned. With all that sorted I returned the hire car just after midnight, having spent 15 mins at the petrol station trying to work out how to open the fuel cap before giving up and poking it at which point it opened ( typical). If you would like to get involved with Polo email me ( the polo captain), my email address should be on the committee page, and you will be welcomed onto the squad. This entry was posted in Competitions, Polo and tagged Div 4, Polo on 2014-02-19 by Sophie. Welcome to the New Freshers! It’s the start of another year, and once again OUCKC is ready with a full calendar of activities for beginners and experienced kayakers alike. Come along to Freshers Fair to meet us, and then come and join us on the river – whether it’s your first time or you’re a seasoned pro, come along and enjoy an afternoon on the river, away from the books and libraries. A full list of the upcoming events will be available soon! Followed by a few drinks in the Jude the Obscure on Walton St. This entry was posted in Uncategorized on 2013-10-03 by ouckc.